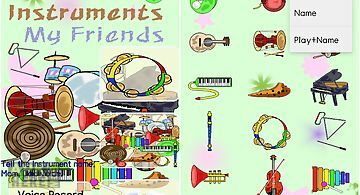 App2find - gps friend tracker app for android description: App2find is the app to find friends colleagues and family. 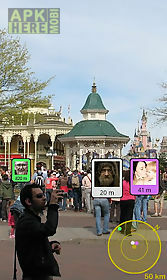 Besides the obvious map option app2find also offers the use of augmented reality (ar) so you can spot the exact position of your friend. So no more minutes hours of looking around you or having trouble reading a map. Just look trough your camera and app2find will show you the right way. App2find is also available for iphone ipad and ipod so you can even find all your apple friendswith app2find you can: choose who follows you choose who you wish to follow find friends with augmented reality camera customize your friends profile change their image change their nickname change their color find your friend on a map(powered by google maps) choose the frequency of updating your gps locationthis app is simple easy to use and works! Filter your friends to prevent a crowded view of them or change the radius so you see only the friends within a certain distance. For privacy it is even possible to hide your last position but if you want you can also use the run in background option so your friends can follow you everywhere. The app works with and without an account and the one button turn off on prevent you from mistakes. Accuracy problem this app offers the option to switch between location update frequency (sending and receiving) from 6 hours up to 1 second. 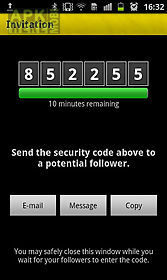 Following you is possible after approval or invitation only using a unique temporary code which is easy to send by e mail sms or copy it as text. Nicknames can be adjusted and every friend can get it s own photo and color so you can easily recognize what you are tracking. App2find is for the international market so available in english measurements either metric or imperial. The app works all over the world as long as there is gps. The complete affordable app for finding your dates friends colleagues and family. Have you ever had problems with getting a location fix? To get a gps fix first you need to be outdoors and have your location settings enabled. With this a..
Gps coordinates are received from the gps location provider or from the network location provider if gps is not available. The altitude is queried from ope..
Had a really bad day and want some revenge? Keep calm for our new whack your friend game is out! If youre mad about what your friends done or said theres n.. Discover your best friends those who are really interested in you right now. How does it work? We analyze the actions made by your friends with you and we ..
Matchandtalk makes you connect with new friends even at home work holidays and lets you text with them and make a video call. Matchandtalk is secure. Meet .. 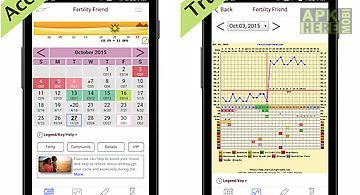 Fertility friend is the most trusted and accurate fertility tracker. This app is an advanced ovulation calculator menstrual calendar fertility chart and pe.. 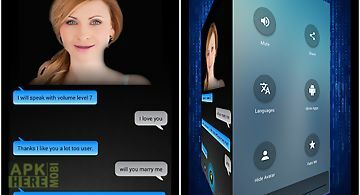 Virtual girl avatar can only talk or chat with you when you feel alone and it can not do anything beyond that. This app is just created to entertain you an..
2015 11 sponsored app review track mobile phone. 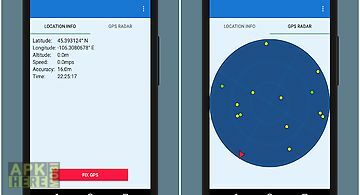 Html https: locator android app trace contacts gps tracker to track a cell phone of one or more contacts ..
Instruments 15 kinds of picture and sound to hear the name of the instruments follow the steps to distinguish 3 different ways to configure the infant educ.. Bored and want to chat and find more kik friends? Use our chat rooms to find other people and exchange usernames. You can choose who you want to talk to an.. 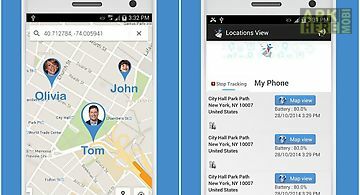 Friend locator app is a robust efficient and accurate location tracking app. 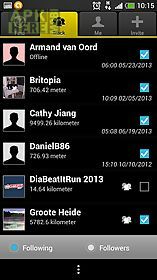 It is designed to help you find your friend 39 s location in a very accurate a..